Gov. Phil Murphy’s administration had initially supported a tax of up to 25 percent on recreational cannabis sales, but two legislative committees this week advanced a bill that would impose a 12 percent tax on sales and allow municipalities where dispensaries would be located to impose an additional 2 percent tax. The 12 percent state sales tax on legally-sold cannabis, even with an additional 2 percent tax added for municipalities, would be one of the lowest in the nation among states where recreational sales are legal. The highest taxed legal marijuana in the nation is in Washington state, at 37 percent. Nevada’s tax rate stands at 25 percent (a combination of a 15 percent excise tax and 10 percent sales tax) and California taxes its recreational marijuana similarly – a 15 percent sales tax plus a “cultivation tax” of $9.25 per ounce of flower. Alaska sets a flat tax of $50 per ounce, while Colorado, the first state to legalize recreational cannabis, imposes a combined 30 percent sales and excise tax. Massachusetts, which had its first recreational dispensary open this week, has the nation’s lowest tax at 10.75 percent with an additional 3 percent “local option tax” if a municipality chooses. Many members of the state legislature have balked at a higher tax rate, saying that high prices could fuel – rather than cut back on – black market sales. “I’d rather see how it goes in other towns around the state,” said Ducey. The 2 percent tax rate has not been popular at the municipal level of government in New Jersey. The state League of Municipalities called for a 5 percent local sales tax earlier this year. 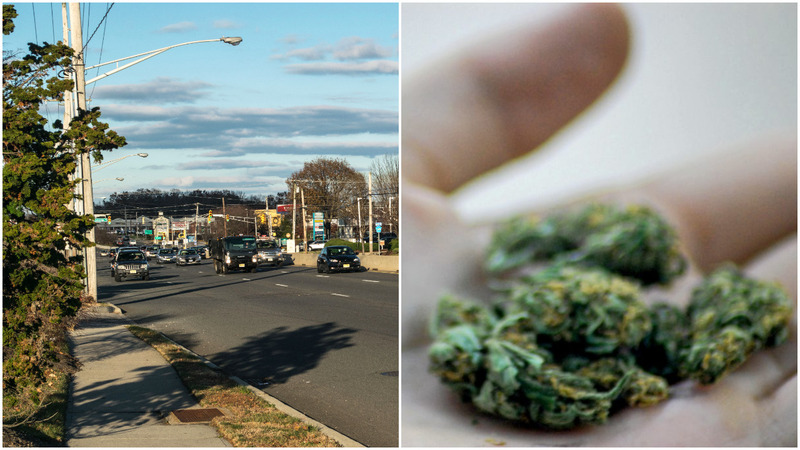 “When we looked at local governments across the country that have this in place, they’ve had anywhere from 1 to 3 percent and it’s been consistently said it’s not enough,” said Colleen Mahr, the president of the League, in an interview with New Jersey Cannabis Media. A rare joint meeting of the state senate and assembly finance committees met this week and advanced four bills that would legalize recreational cannabis, regulate the market and provide the opportunity for expungement of past criminal offenses. The bills requires a majority vote of both houses of the full legislature and Murphy’s signature before they become law. Under one of the laws, municipalities can prohibit the recreational sale of cannabis, though it would still be legal for adults over 21 to possess. Likewise, Brick’s form of government largely leaves the decision on whether to allow cannabis dispensaries to operate to the township council. In order to prohibit sales, the council would need to introduce an ordinance enacting a ban, then hold a public hearing and take a second vote for adoption. “The council is going to have an opportunity to vote on it,” Ducey said.